Our mission is to provide you information you’re not able to find in one particular place on the Internet. Injuries & Suspensions Team has more than 20 years of experience with collecting important sports information and knowledge about places on the Internet where is possible to find information which can help you. If you have any question, suggestion or complaint do not hesitate to contact us. By accessing injuriesandsuspensions.com you agree to the terms below. Injuriesandsuspensions.com may make improvement and/or changes in the products and services provided without prior notice. All material on the web site including, without limitation, any text, graphics, logos, photographs belongs to injuriesandsuspensions.com. You are not allowed to copy or use any material from the site for any commercial purpose.  You are allowed to use just part of our material, but if you use it for your web site or blog, you have to place our logo, sign or web address below (all linked with injuriesandsuspensions.com), clearly visible. 4. attempts to circumvent any of our procedures or systems. Injuriesandsuspensions.com may at any time revise these terms by updating this posting. The information contained in this website is for general information purposes only. The information is provided by injuriesandsuspensions.com and while we endeavour to keep the information up to date and correct, we make no representations or warranties of any kind, express or implied, about the completeness, accuracy, reliability, suitability or availability with respect to the website or the information, products, services, or related graphics contained on the website for any purpose. Any reliance you place on such information is therefore strictly at your own risk. Every effort is made to keep the website up and running smoothly. However, injuriesandsuspensions.com takes no responsibility for, and will not be liable for, the website being temporarily unavailable due to technical issues beyond our control. Any breach of the aforementioned clause may be tantamount to a violation of applicable intellectual property rights within applicable laws. The injuriesandsuspensions.com and any other party authorised on its behalf reserves the right to seek damages against any party committing directly or indirectly this breach. You should never bet with money you cannot afford to lose. No-one can guarantee success! Injuriesandsuspensions.com may help you to make informed betting decisions, but we are not responsible for your choices. Neither injuriesandsuspensions.com nor anyone associated with injuriesandsuspensions.com accepts any responsibility whatsoever for any loss that may be sustained as a result of the use of the injuriesandsuspensions.com information.